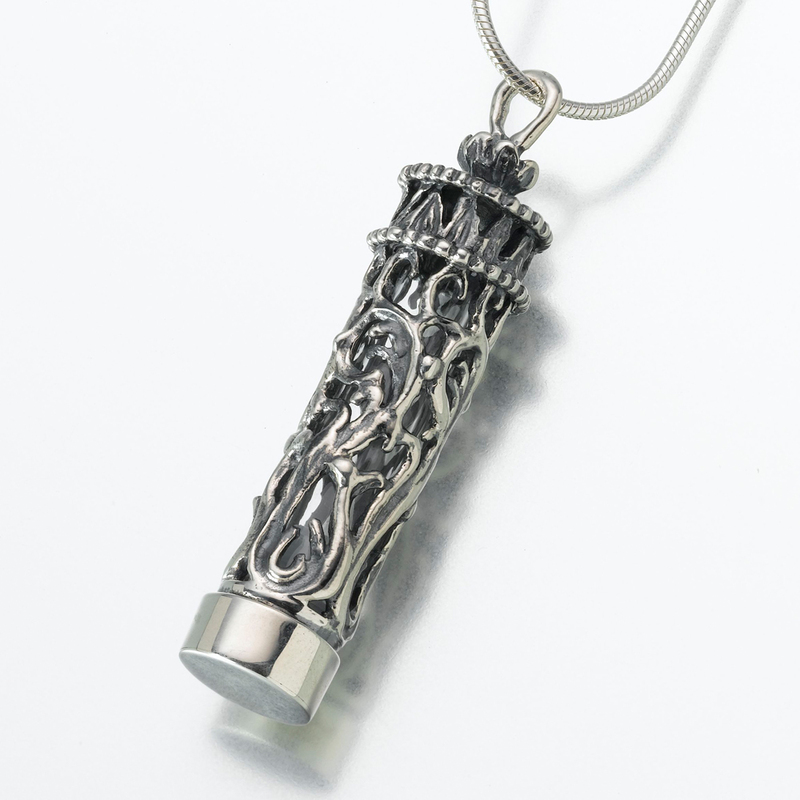 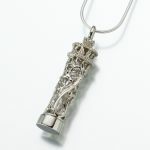 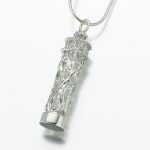 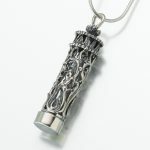 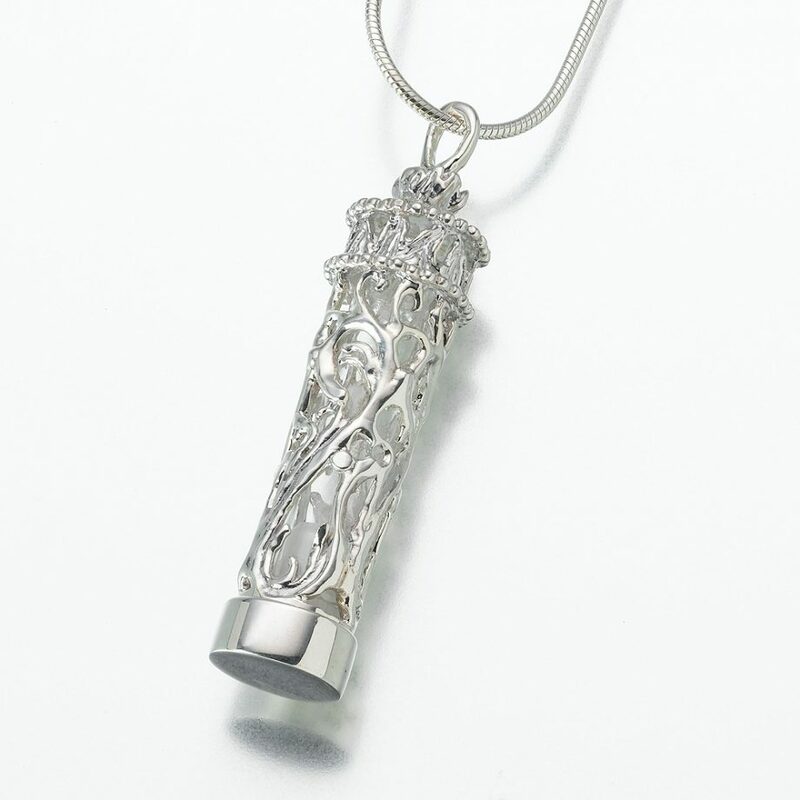 Our antiqued (blackened) filigree cylinder has a discreet see-through design with a fillable glass insert with stopper. 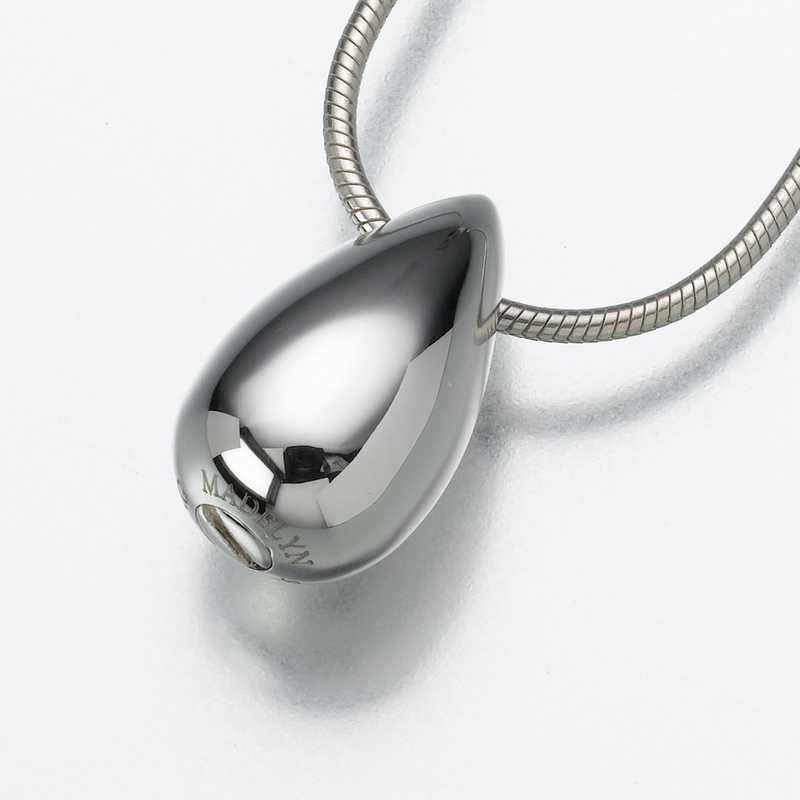 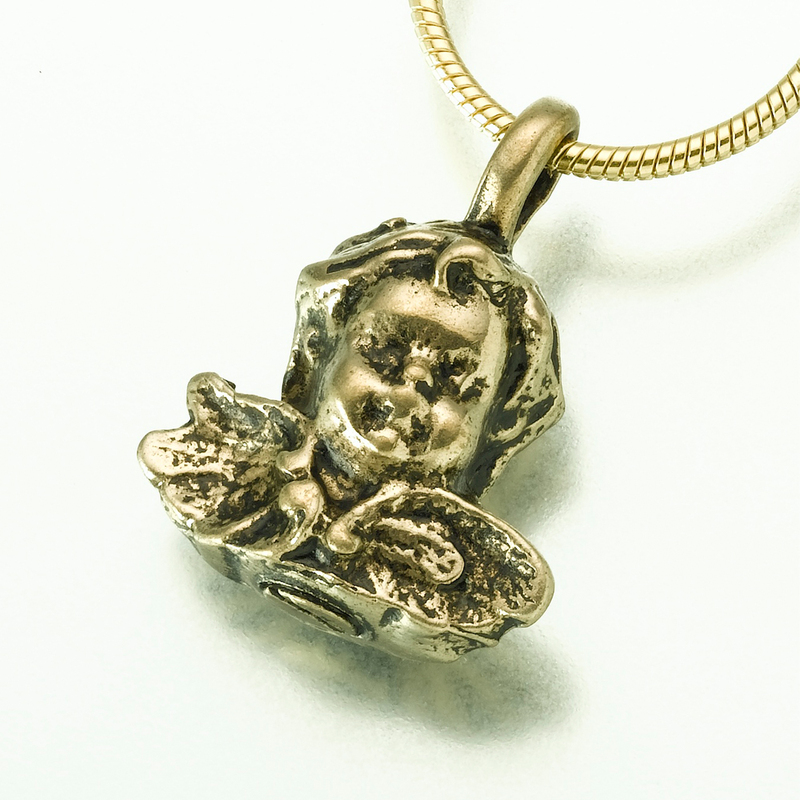 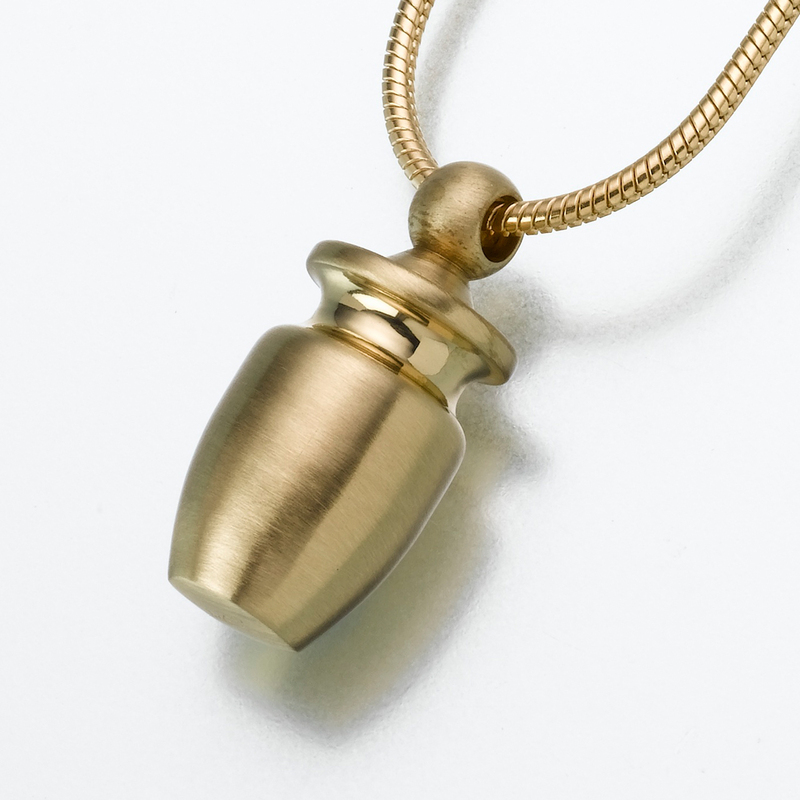 A threaded cap secures the glass inside the pendant. 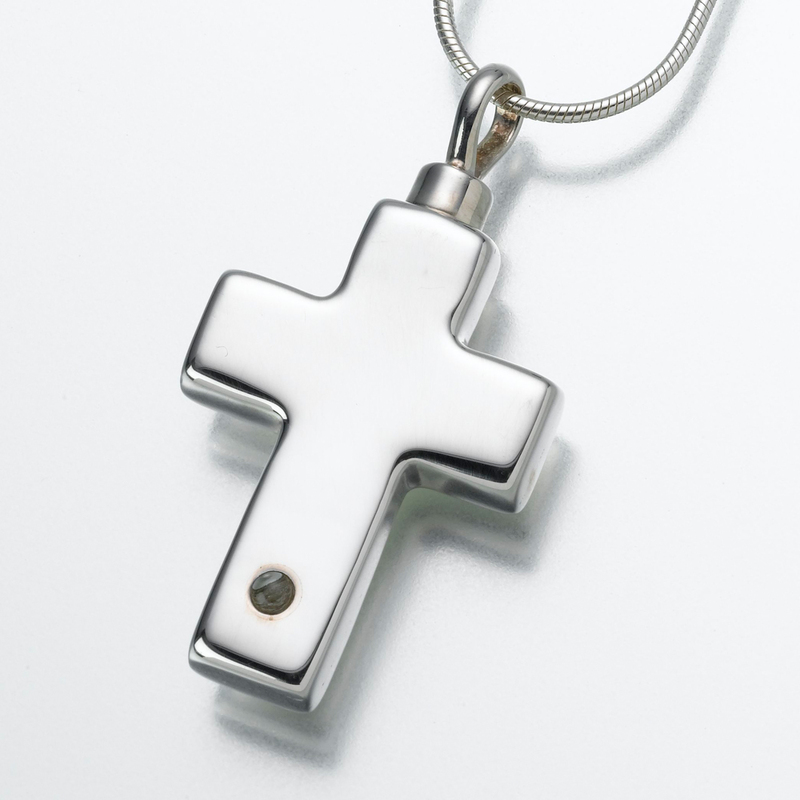 Engraving is limited to three characters.